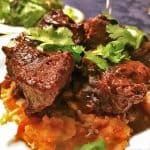 This tender and beefy Dutch Oven Short Ribs recipe is perfect for entertaining or feeding just yourself and family. A few weekends ago, a longtime goal of ours came to be: the formation of a dinner club. 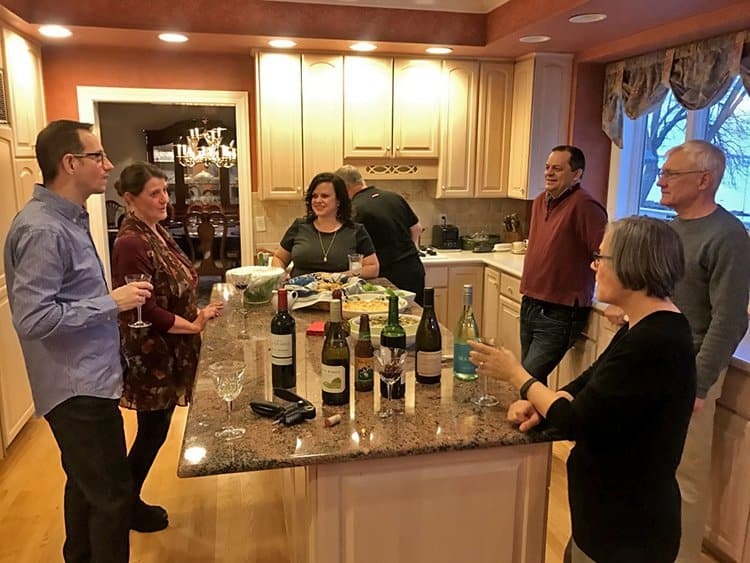 We got together with three other couples and met some new friends and enjoyed some great company, all in the midst of wonderful food and wine. 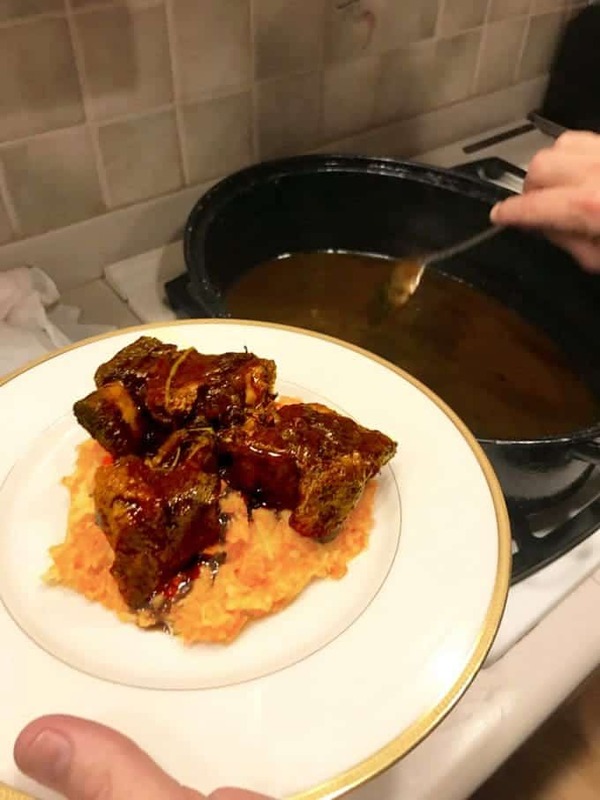 Our host for the first dinner club get together, prepared the main course, this Five-Spice Dutch Oven Short Ribs with a Carrot-Parsnip Purée. The evening and the food was too good not to share with our readers and so with my handy iPhone in tow, I took a few snaps between bites to give you a small visual taste of the evening. 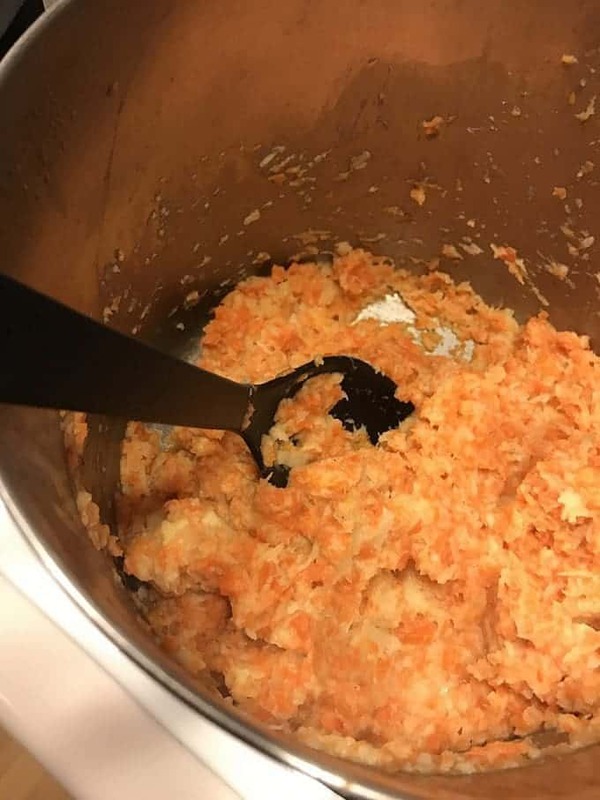 This Carrot and Parsnip purée makes for savory and warm base for the tender dutch oven short ribs. Parsnips are all too often left out of the kitchen, and this recipe is great example of how they can be used as part of a truly spectacular meal. 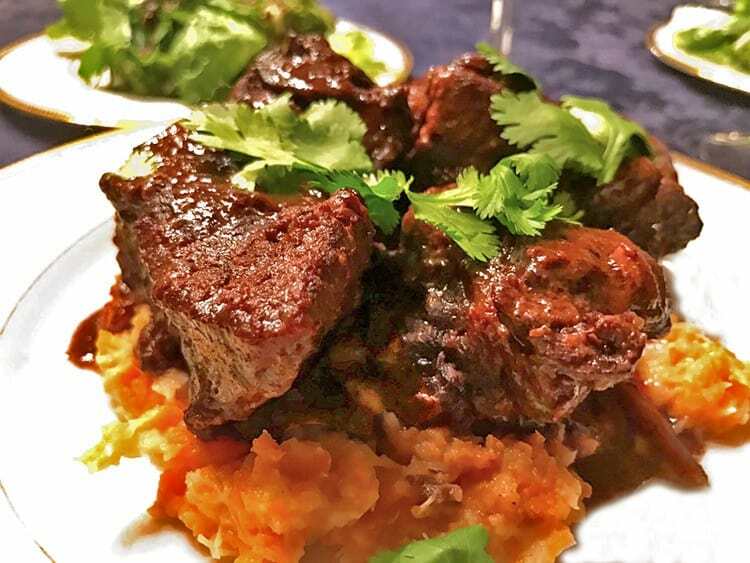 As you can tell by the photos, our host did a fantastic job with this recipe of dutch oven short ribs. One of the things that I love about this recipe is that it truly involves cooking. What makes it even more appealing to me is that it uses one of my favorite kitchen implements, the dutch oven, and one of my favorite techniques which is braising. As you can see by the dutch oven link that I provided, you don’t have to spend a fortune on this durable kitchen pan that will last for generations. 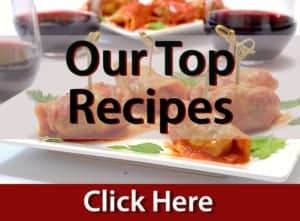 To give you some more ideas of what to make in a dutch oven, have a look at some of our many braised recipes that we have featured in the past. You may be wondering about the rest of the meal from our first dinner club get-together. 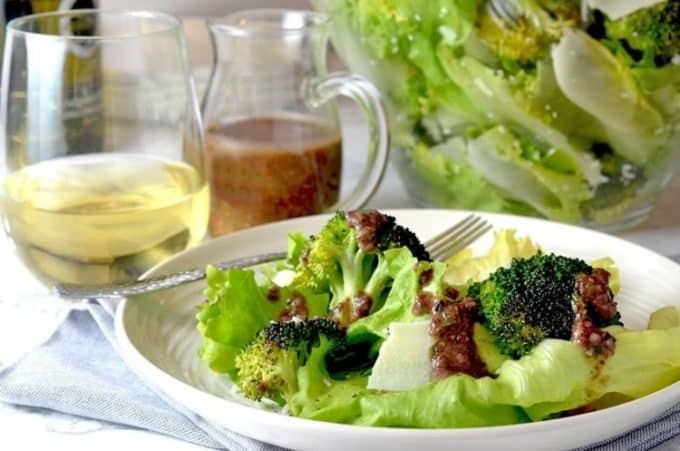 Yours truly provided this Escarole and Roasted Broccoli Salad, and another guest brought one of our very own recipes as an appetizer, our popular Buffalo Chicken Dip. In case you are wondering about the grand finale of the evening’s meal, all I can say for now is stay tuned. Some things are worth waiting for and this dessert recipe that we will be sharing is definitely among them! Five-Spice Dutch Oven Short Ribs atop Carrot-Parsnip Purée. Savory and meaty short ribs, served on top of a warm blend of carrots and parsnip. Recipe from Rhoda Boone, on Epicurious. 1 bottle dry red wine 750 ml. Preheat oven to 375° F and then season the ribs with salt and pepper and allow to rest at room temperature for about 30 minutes. Using a large mixing bowl, toss the ribs with four until evenly coated. Next, in a large Dutch oven, heat oil over medium-high setting. Once the oil is hot, sear the flour-coated short ribs on all sides, about 2 minutes per side. Work in batches and transfer the ribs to a plate when seared. Drain all but 1 tablespoon remaining oil from Dutch oven and lower the heat slightly, to medium. Brown the tomato paste slightly and then add the five-spice powder. Sir and cook until fragrant, about a minute. Add wine to the Dutch oven, deglaze the pan by scraping up the flavorful brown bits with a wooden spoon. Bring the cooking liquid to a boil, lower the heat and reduce for about 10 minutes. Rinse one carrot and one parsnip, cut into thirds and add them to the pot, along with the onion, broth, garlic, cilantro stems, bay leaves and the seared short ribs. Nestle the ribs in the liquid, allowing them to be submerged. Bring to a simmer and then cover and place in oven to braise for about 2 hours. Next, uncover and allow to braise for another 30 to 60 minutes, until the meat is tender and ready to fall off the bone. 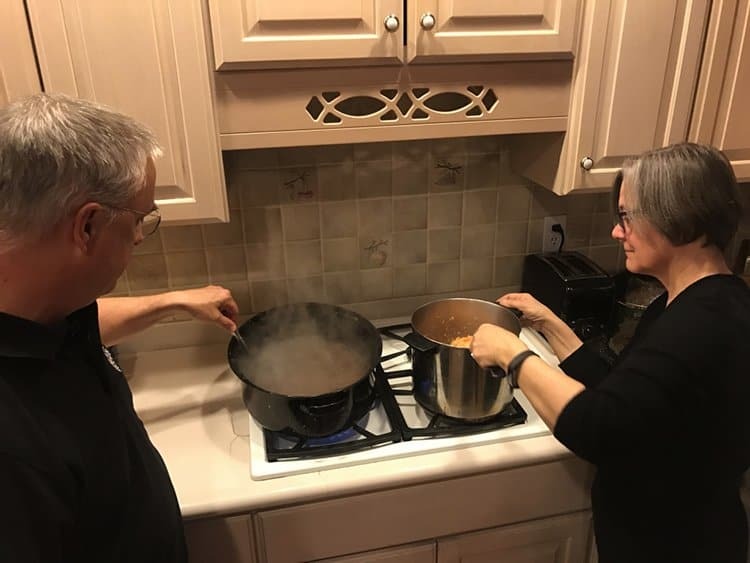 While the ribs are in the oven, place a large pot of salted water on the stove top and bring to a boil Peel and chop (rough) the rest of the carrots and parsnips and add them to the boiling water until fork tender, about 15 minutes. Next, drain the vegetables and return them to the pot. Add butter, milk, salt (1 teaspoon), and nutmeg. Using a fork or immersion blender, mas to desired consistency. Adjust seasoning to personal preference and then cover the pot until ready to serve. 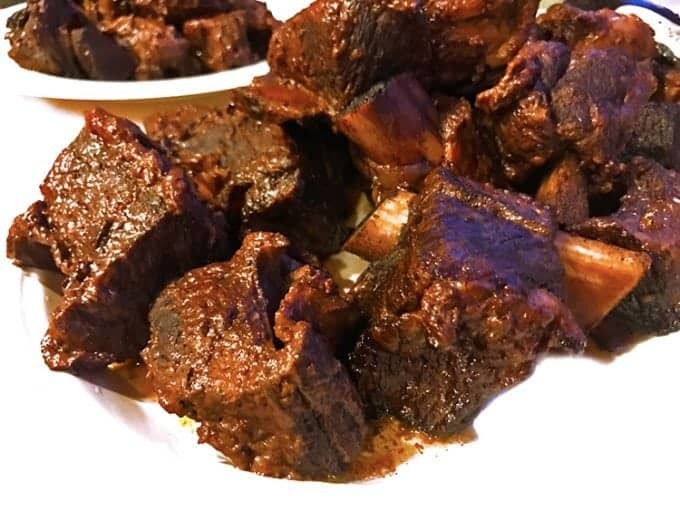 Once the short ribs are out of the oven, transfer them to a plate. Set a strainer on top of a large bowl and strain the braising liquid. Pour the strained liquid back into the Dutch oven and discard the solids. Simmer the liquid and reduce to about half. This should take about 10 minutes and will coat the back of a spoon when ready. Taste and adjust seasoning. Reheat vegetable purée, over low heat. 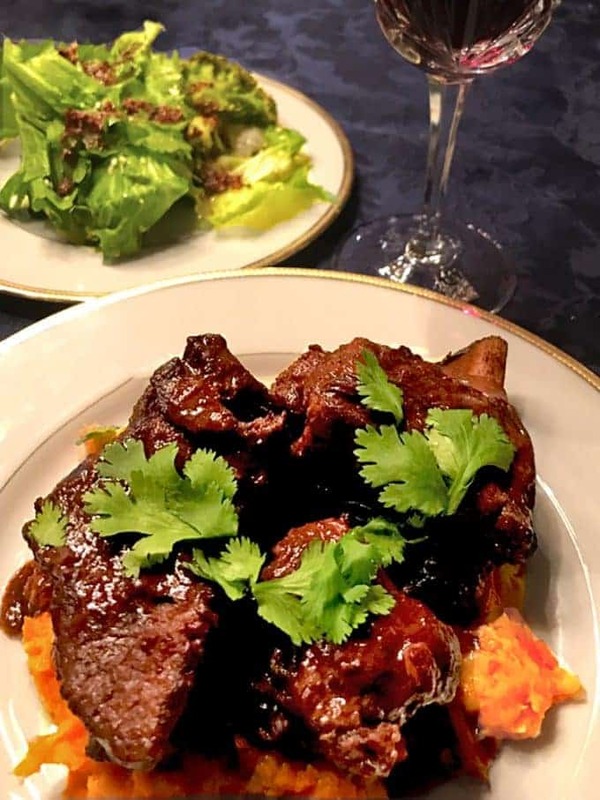 Serve the short ribs on top of the root vegetable purée and top with sauce and a sprinkling of cilantro leaves. That puree and the meat looks really spectacular. Pure deliciousness. Meat looks so tender. Love this recipe. That looks ridiculously good! I love Chinese five spice flavors! These short ribs look amazing!! I am bookmarking this to make later! I can’t think of anything tastier than a short rib dinner. The root vegetables make this so perfect! Thanks so much, Patty. We enjoyed this one! 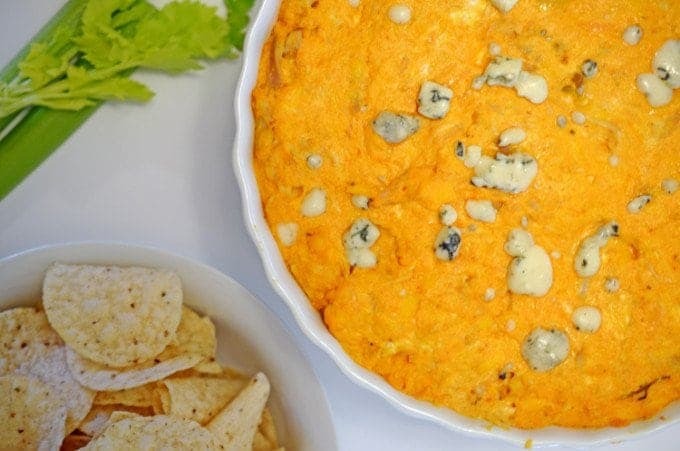 This sounds like a perfect winter dish! I love parsnips! These short ribs look DIVINE! I bet your dinner club really enjoyed them! Thanks so much, Nicole. Everyone had a great time! A dinner club sounds so fun! I love short ribs, but have yet to make them. You’ve inspired me. Yum! 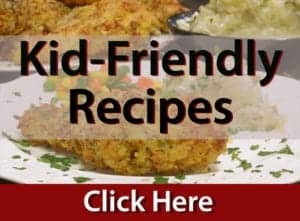 Andrea, you will love these meaty bites of flavor! Love the spice mix you have going here and those images really look delicious. Love the dutch oven – perfect every time for me. Short ribs on the menu with guest is always a great treat. I am such a fan of short ribs. I really like the reduced sauce you got. Thanks Peter; our host did an amazing job with this one! My dutch ovens are my prize possessions in the kitchen. They ALWAYS create wonderful results. This recipe is the perfect way to use them. Love the spice mix. Thanks, Beth and…it’s going to be great! This looks amazing’ so tender and flavorful! What a fun idea you’ve started with your friends too. I love it! Thanks for sharing! Luci’s Morsels | fashion. food. frivolity. 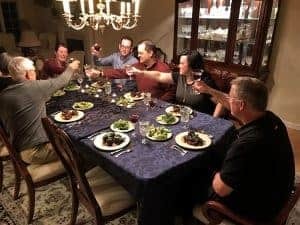 Thanks for the comments, Luci; we had a great time with this dinner! I love the sound of all those spices! Delicious. What a fun dinner party. Such a hearty and stick to your bones meal!